Mr. John Holshouser has been a Professional Engineer with Amphion Analytical Engineering, P.A. since 2011. 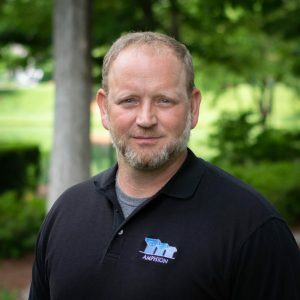 He has experience in mechanical integrity assessment, construction testing and oversight, stormwater design, water/wastewater design, and contract administration since 1999. Mr. Holshouser specializes in performing inspection and analysis of aboveground storage tanks, below-ground dry wells for wastewater pump stations, pressure vessels, piping, equipment, and vessels at various manufacturing facilities, municipal wastewater systems, textile facilities, chemical plants, and various other industrial facilities. He has extensive experience with ultrasonic inspections, magnetic particle inspection, dye penetrant inspection, and visual weld inspection. Mr. Holshouser is a licensed, professional engineer in North Carolina and Illinois.